To hire at lower prices. To hire at the lower price, a good deal? Recently, I attended an event organized by a recruiting partner. These events are always the opportunity to meet colleagues and to exchange news and informations about the business trends. If we can hear and read about better results for the economy, it seems that the situation remains difficult regarding the job offers, even for permanent jobs than for interim management opportunities. I was discussing with a colleague looking for new opportunities, and she told me that she received some proposal and had some interviews, but that the offered salary for a proposed job was ..40% lower than her last salary! On the other side, I read in some newspapers than top salaries apparently remain unchanged compare to before the financial crisis. Where is the mistake? For the time being, there are a lot of available candidates on the market, which has a negative effect on the salaries level. And of course, companies try to hire the cheaper candidate. But is it really a good deal to hire somebody with the minimum salary, and for some candidates a lower salary than their previous assignment? Maybe on a short term basis but what about the long term? The question is what about the project of the company. Does the company wants to have a long term collaboration with the employees? If the employee finds an opportunity where he can have a better salary, he will leave the company. This means that you will have to hire somebody else, spending and loosing time to restart a recruitment process, and increasing your recruiting costs. More than this, the time spent by your employee during the few months he worked for your company is a pure loss, and a part of the know how is lost. 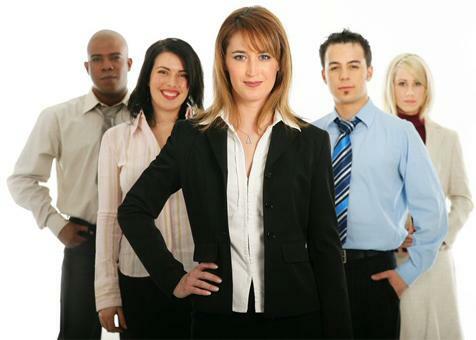 A recruitment process should include the same criteria than an investment. One parameter is the price, but the other parameter is the quality of services I will get for the money paid. You want to have the better ration quality-price, but think about the quality you really want to contract. Think also about the motivation of your employee. The salary is a part of the motivation, and the productivity and the work quality will probably be better if the salary level meets the candidate expectations. Think also about the fact that a long term collaboration with a candidate means a better knowledge and control of the processes, the business, and gains of productivity. The solution to give the lowest salary is not the best one on a long term basis. As an investment, you will analyze the return on investment you will get from the disbursed amounts. Consider your employees as an investment, on which you can expect a good return. We never talk so much about human capital than now, but human capital seems still to be stillconsidered as a cost and not as an assets. By paying bad salaries, you underestimate the human capital. And as you know, if you pay peanuts, you will get monkeys. Work, an activity as another? 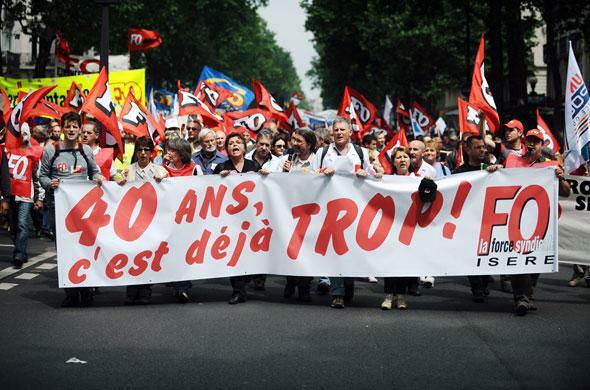 Demonstration In France against retirement legal age measures. Since a few days, we can assist to strike movement in France, protesting to the increase of the legal age of retirement. This question is a concern for many states and it seems that the measure taken by the governments are not welcome everywhere. I was a bit surprised by some interviewed people, and more particularly by some students protesting against the measures taken by the french government. What surprises me is that somebody who has not yet start to work, is already concerned by the retirement. Strange life perspective. I often hear people talking about the retirement and expecting it as soon as possible. Probably some of them will regret to see that the retirement age will be there fast and will regret to already reach it. It is allowable to think about your future, and about the revenue you will earn when you will be retired, but is retirement a goal, the goal of your life, or is it the solution to a problem? Here is the question. If people are already talking about retirement, it is because they are not really happy with their job. As I am used to say, work should be considered as another activity, as a hobby. The main reason to do a job is because you like it. Of course, it is not always easy to find the job matching with your expectation, particularly in crisis time. But it seems to me that at the beginning, work is considered as a constraint and not as an activity where you can find interest and which could be a resource of personal development and of blooming. Of course, there are jobs which are not offering potential of blooming, but which for people are needed. This view of the job as a constraint has probably a cultural and historical origin. During the 19th and beginning of the 20th century, the work conditions were very hard, and are still hard today for some specific jobs. It is obvious that in this case, it is difficult to find a way of blooming in such hard job. With such conditions of work, work was and is still considered as a constraint, something we have to do in order to earn money. But does it mean that we can not bring more value or respect to the people doing these jobs? In a previous posting, I was relaying a article about a car factory plant in Germany, where the production chain and the time work were adapted for the seniors blue collars, giving them the possibility to work in better conditions. These adaptations contributed to the workers wellness. The wellness improvement is probably a key element of motivation. Comparing to the industrial revolution time, the work conditions are changed, some jobs are less painful than compared to this time. But does it mean that the work environment is always beautiful? Recently, in a forum, there was a comment from a french journalist, Véronique Anger-de-Friberg, related to the increase of legal retirement age in France, and the wave of protests against that measure. She is saying that if the work was contributing to the blooming of the major part of french people, the retirement at 62 years would not be an issue. In this posting, she clearly underlines the fact that if people want to be retired as soon as possible, it is because there are not happy at all on their job. If by the past, some physical jobs were difficult because done in hard conditions, we are assisting since many years to psychological pressures in other jobs. We assisted few month ago to a wave of suicides in some companies, like France Telecom. When such things happens, it is obvious that something goes wrong, and it is not giving hopeful professional perspectives for the young generations. I would say that there is two key in that issue. First is to do or try to do the job you really want to do. As said Confucius, “Do a work you like and you will not have to work during all your life”. Ideally, we would have to like our job, as we like to swim, to read a book, to travel. And even if we are facing difficulties, as we can face in different sides of our life, we have to see them not as problems, but as opportunities of self-development.The second condition is to offer a blooming environment to the people, giving them the wish to do their job. Here are the opportunities for talented managers to boost the motivation of their collaborators, and to give them the feeling to be part of a project, of a company. With such conditions, you would consider your work as another activity you like to do. Too late to change of career project? 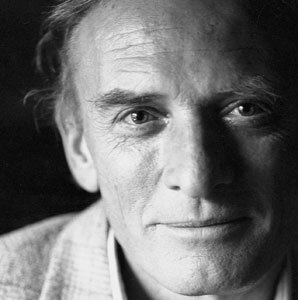 Jean Van Hamme, a former manager who became scenarist and writer. Some of us, we are thinking time to time to change of job, to do something else more fitting with our expectation, with our ambition. But is it so easy to switch from a job to another, a new job where you will have to build a new reputation and expertise? Here are some important points to be considered in order to succeed in such transition. Be convinced by you want to do in order to convince your future customers, your future employers. As already mentioned in a previous article, the only reason to do a job is because you like it and you will show the best you can do. Make sure that you have enough talent and skills in the new activity you want to do. You decide to change of job, of activity because you discovered something you liked to do as a hobby, and you would like to improve your work satisfaction by doing something fitting more with your expectations. But the question to be asked is to know if you have enough talent to do this activity with a professional level. Try to interact with partners or other people acting in the same area than you, in order to evaluate your level of competences.There is a difference between somebody who can play piano and to play piano like Mozart. Take the time to prepare your new activity and start only when you are feeling having enough control on things you can control. Be aware that you are starting a new activity where you have less experience than your competitors. You are starting as a junior and you will have to deal in an environment with senior competitors. You will have to invest time and energy in order to reach and provide a competitive quality level of competences. As often mentioned, most of the time, to succeed in such conversion needs 10% of talent and 90% of work. Be innovative and creative. In the range of services you want to provide, try to innovate and to give a good reason to your customers to work with you and not with somebody else. Think out of the box is something important to make the difference between you and your competitors. The combination of different competences and skills can provide more added value than the addition of each competence (one and one make three). As said the Italian photographer Oliviero Tuscani, you have not only to be the best, you have to be “unique”. Listen to the experiences of your partners and competitors. You can learn a lot of then and anticipate actions or difficult times. Feedback is an important source of information, in order to perceive the fast moving environment you are working in. Measure the impact your new career can have on your private life and on your family. As already mentioned, a change of job or activity implies more work and efforts, more time dedicated to your project and as consequences, a change in your work life balance. Do not hesitate to speak about your project with your family, about the impact it can have. It is important to have the support of your family, but it is important too to minimize the negative impacts on your family life. Measure the financial impact of your project. In the case of a new activity as self-employed, it will take time to generate revenues. You need to have a clear overview about the risk you want to take. Set up a limit you do not want to go over. Try to develop a plan of alternative revenues. I was reading recently the experience of an accountant who changed of professional direction. He invested his capital in real estate and had rent revenues, ensuring regular revenue to be able to live. In other words, try to minimize your risk or to have an alternative plan in case of failure. Do not forget that to start a new activity, a new enterprise, is always a risk. Be aware that there is always a risk to fail. But this failure has not to be seen as a negative thing. From this failure, you will probably learn much more than from a success. But it is important to limit the damage and to take the decision to stop. Define first the risk limit you would not cross over. As conclusion, I would say that to move to a new career plan is not an easy exercise, but not an impossible exercise too. It implies to have a good knowledge about yourself.But you can have probably hide talents you will discover by doing such exercise. And even if your new project fails, think first that your attempt to change of career project is not useless. You discovered and learned many things which will probably help you to think about another project and succeed it.